Hi Sibley tells you how to make perfect bird houses and feeders for your winged friends. The plan covers from simplest of the type to one of the most detailed type of houses. The book covers most of the popular small projects that you can make to finish within a few hours. 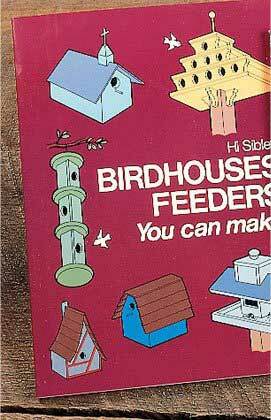 This 96 page book has over 100 fascinating plans that can help you build some awesome quality bird houses and feeders.